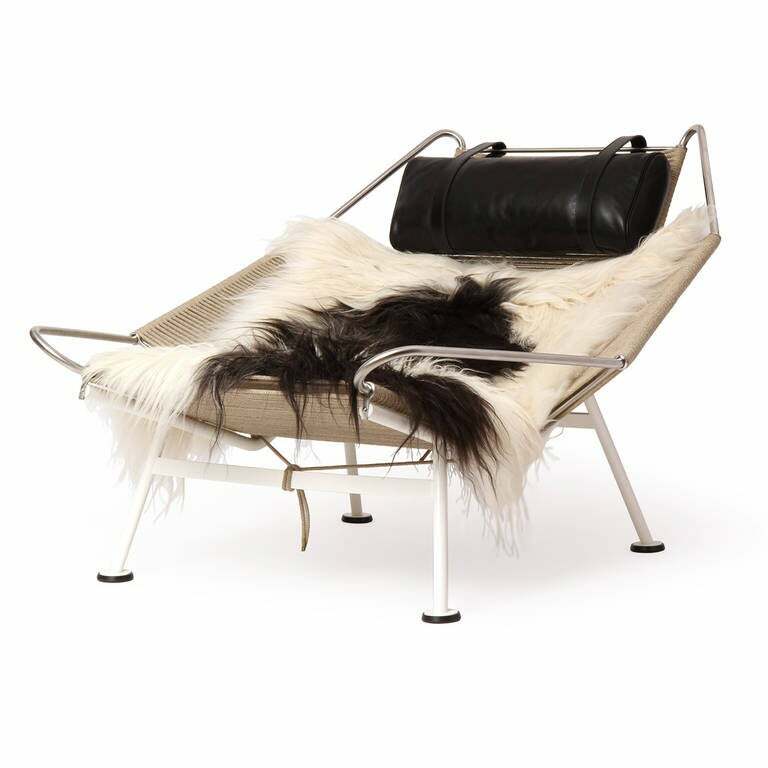 An iconic and dramatic lounge chair having a sculptural and engineered stainless steel frame with a seat and back made of plaited flag halyard. 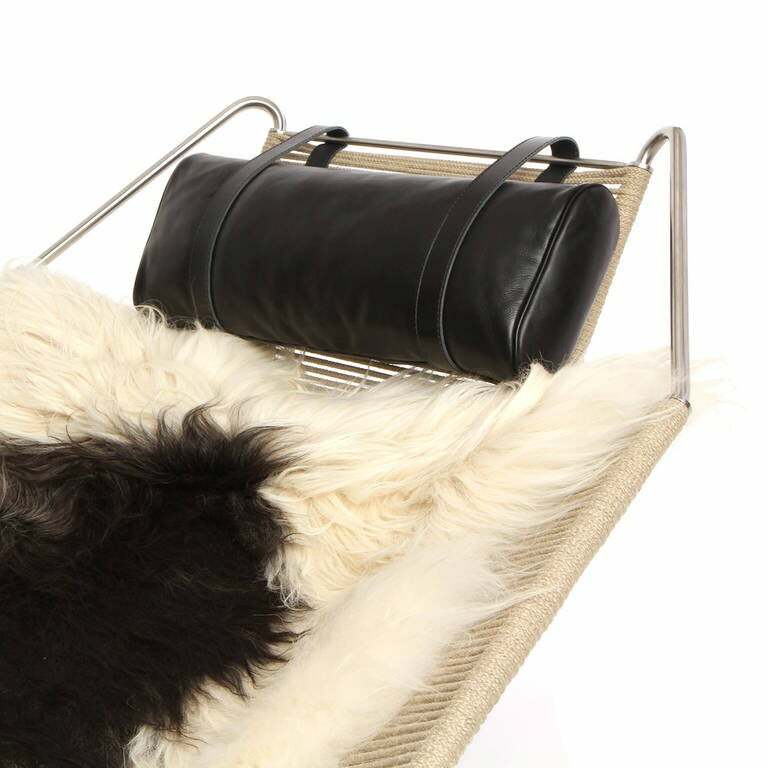 Comfort is added with a longhaired sheepskin throw and an adjustable leather headrest. 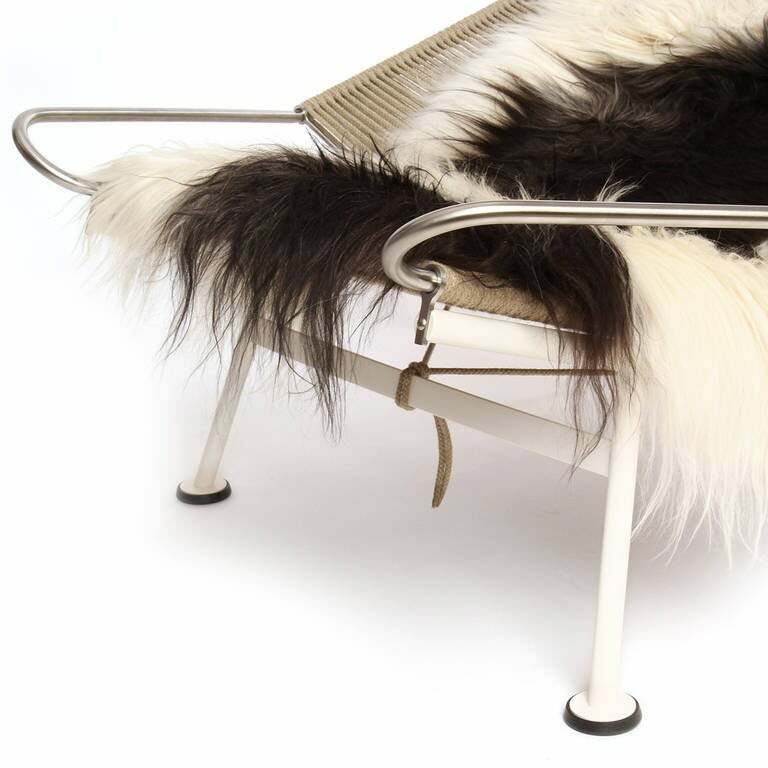 Best known for his chairs and seating pieces — though a master of many furniture types like sofas and tables — Hans Wegner was a prolific designer whose elegant, often ebullient, forms and devotion to the finest methods in joinery made "Danish Modern" a popular byword for stylish, well-made furniture in the mid-20th century. 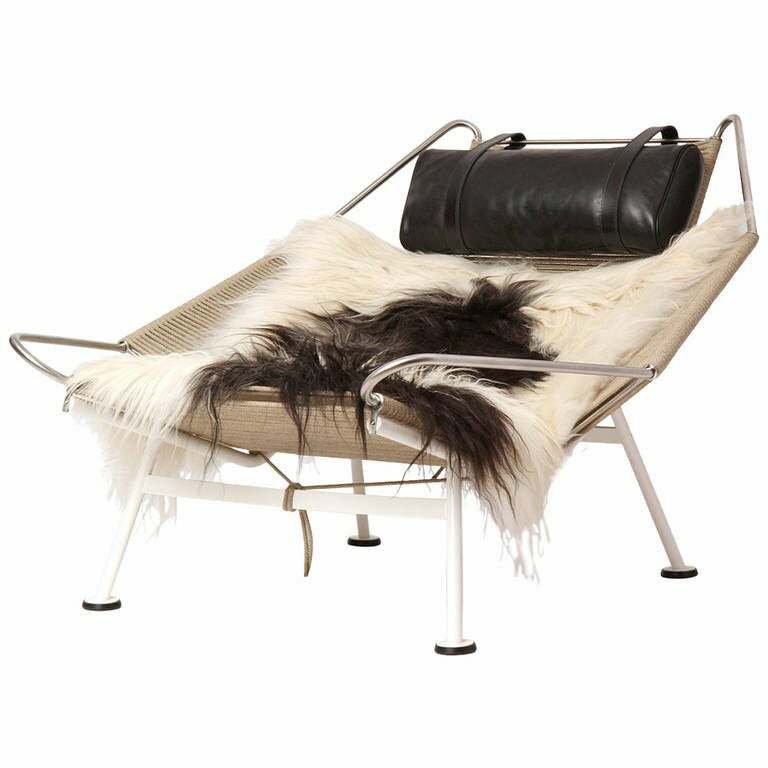 Wegner considered himself a carpenter first and a furniture designer second. 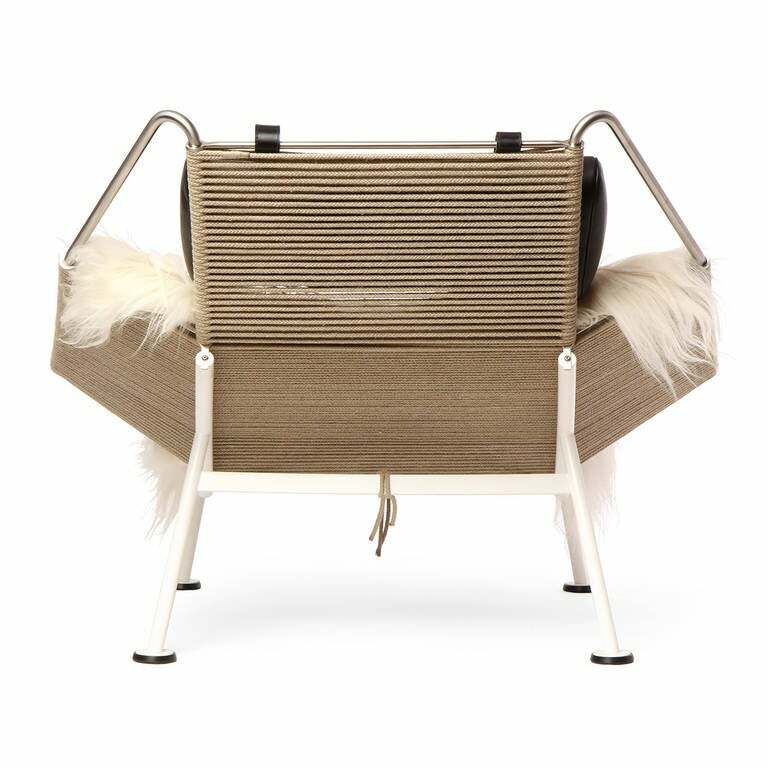 Like his peers Arne Jacobsen and Finn Juhl, Wegner believed that striking aesthetics in furniture were based on a foundation of practicality: a chair must be comfortable and sturdy before it is chic. 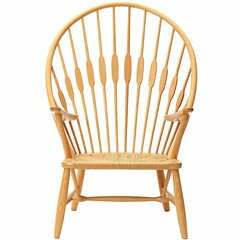 In keeping with that tenet, several of Wegner’s best chair designs, seen in dealer listings below, have their roots in traditional seating forms. 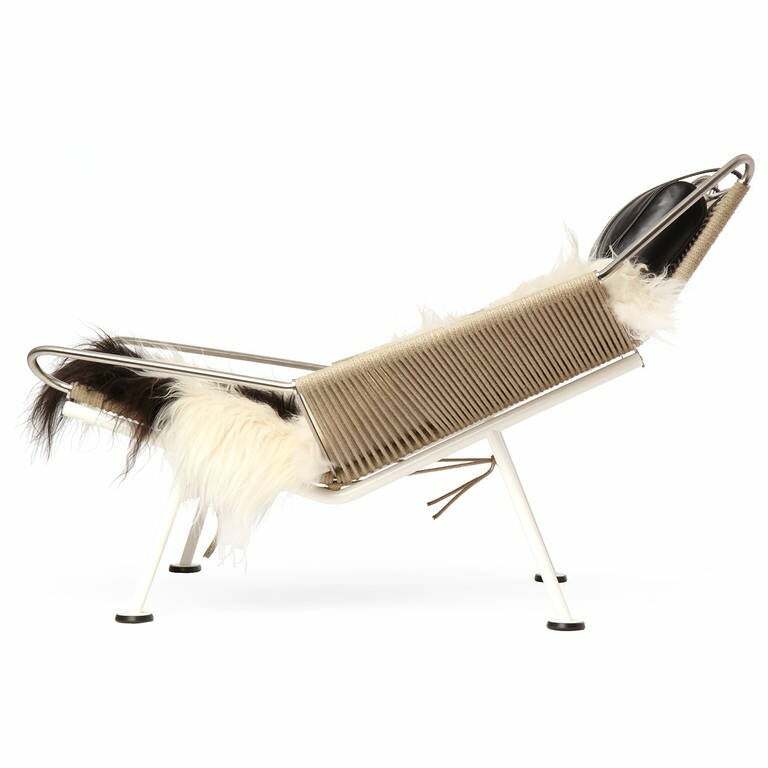 The “Peacock chair” (designed 1947) is a throne-like adaptation of the Windsor chair; pieces from the “China chair” series (begun in 1944) as well as the 1949 “Wishbone chair,” with its distinctive Y-shaped back splat, are derived from 17th-century Ming seating pieces, as is the upholstered “Ox chair” (1960). 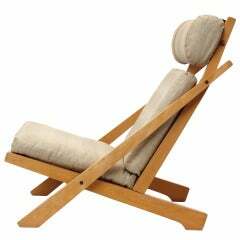 Wegner’s comfy “Papa Bear chair” (1951) is an almost surreally re-scaled English wingback chair. 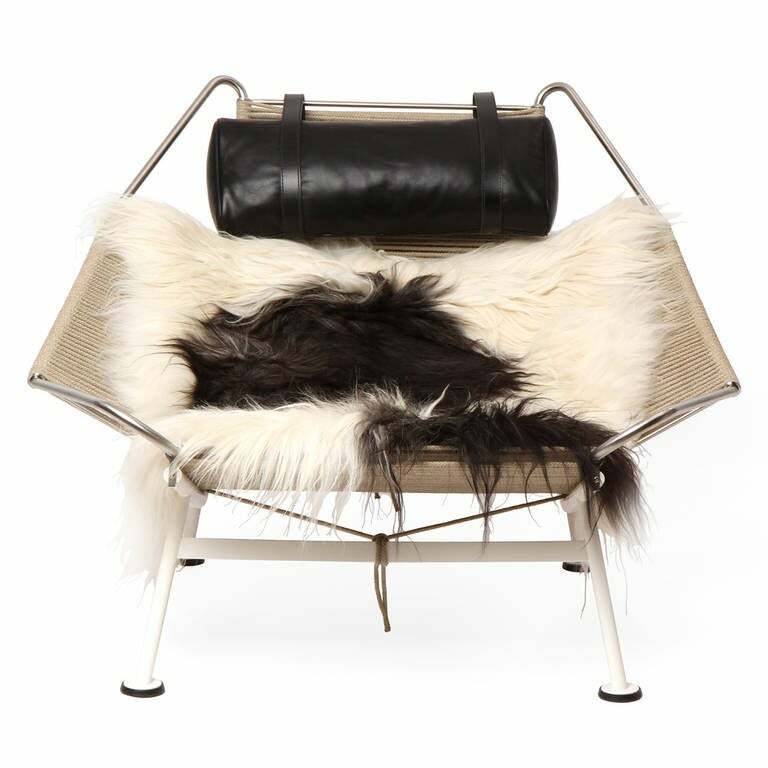 Wegner’s most representative piece, the “Round chair” (1949), gained a footnote in political history when it was used on the TV stage of the first Kennedy-Nixon debate of 1960. 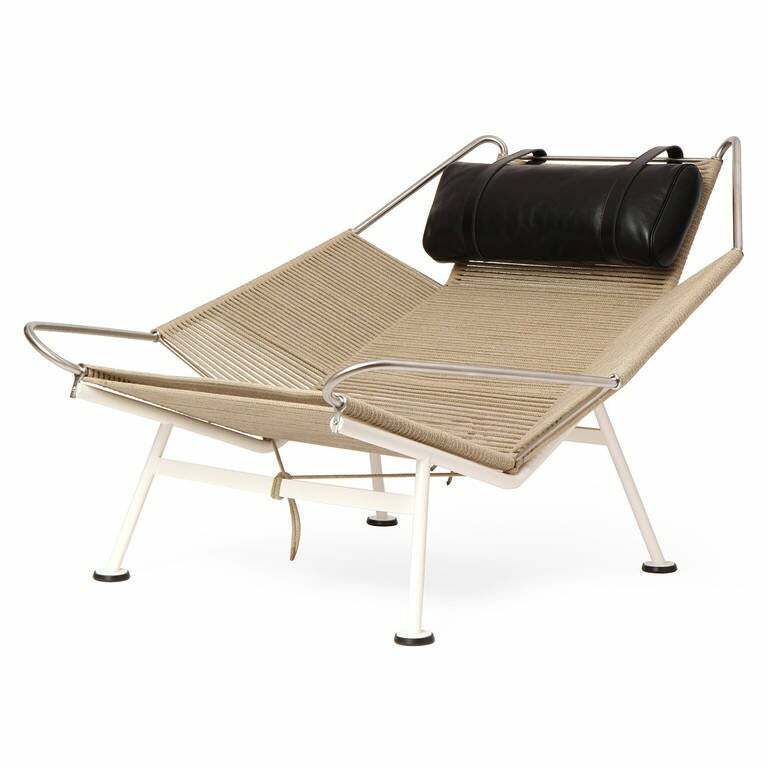 That chair, along with Wegner’s more bravura designs, for example the 1963 “Shell chair,” with its curved surfboard-shaped seat, bring a quietly sculptural presence to a room. 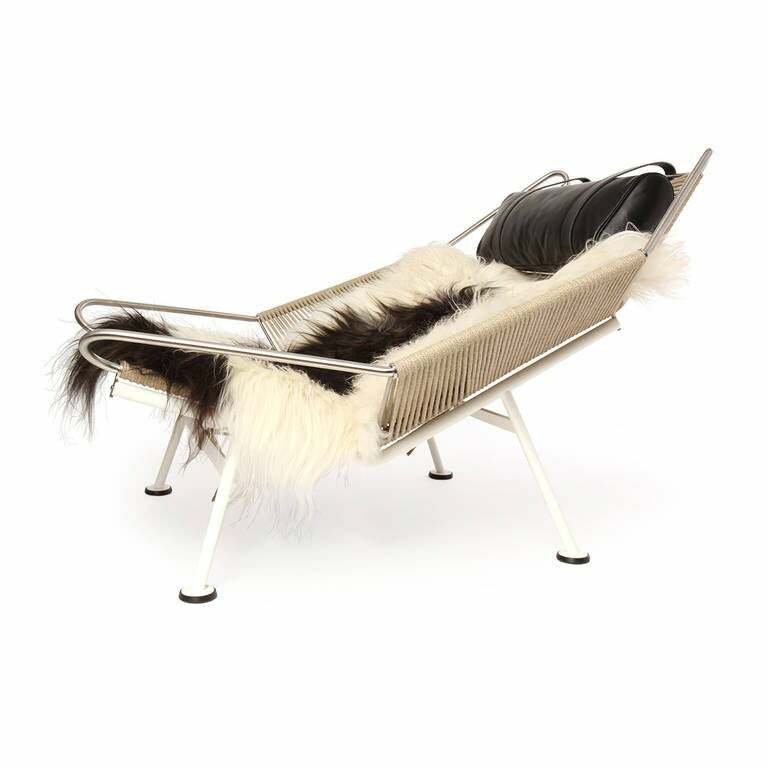 Wegner was a designer who revered his primary material — wood — and it shows. 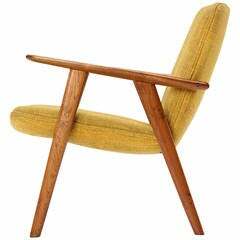 His wood gathers patina and character with age; every Hans Wegner piece testifies to the life it has led. An ash “peacock” chair with rare ash arms and the original woven papercord seat. 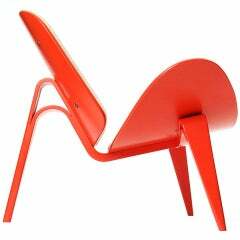 A laminated orange lacquered "shell" lounge chair with upholstered seat and back. 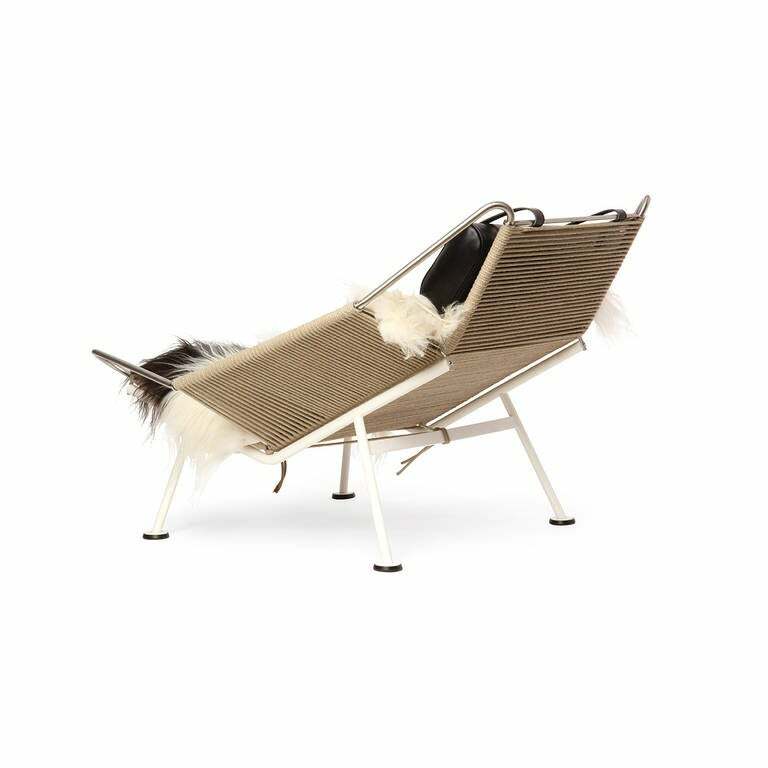 An architectural low lounge chair having an exposed beech slat-backed frame with flag halyard weaving and soft, light grey linen upholstery; the headrest is adjustable. A rare oak "Bukkestolen" (reading chair) with exposed frame and upholstered seat and back retaining the original yellow wool upholstery.